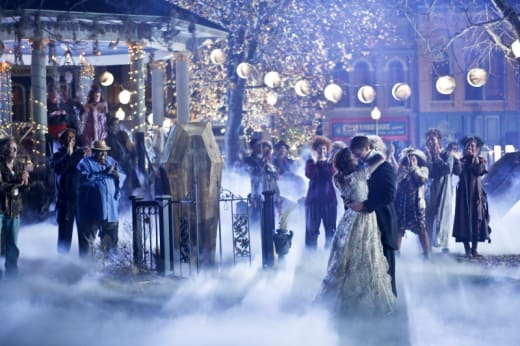 In "The Gambler," Hart of Dixie fans witnessed the most amount of drama we have seen on Hart of Dixie Season 2. And I can honestly say this was my least favorite episode of the entire series. Not because it was dramatic - but because everyone was out of character. Prepare for a short review, in fact, as I don't have many nice things to say about tonight. Let me begin with the main storyline of Wade and Zoe. Can we have one episode where they are not having relationship problems?!? I mean, it seems that all they do is fight and then make up in some adorable way in the end. If all they were going to do was disagree and apologize, then why put them together in the first place? Their relationship seems more negative than a positive at this point. Secondly, after all of the character growth that Wade has made this season, all it took was the second half of one episode to throw it down the drain. Did Zoe push too far? Maybe. But in the end all she wanted was for him to be able to follow his dream. Wade's reaction? Getting drunk, ruining the set, having a pity party for himself and then leaving with another woman. What the hell is that all about? Seriously? After how far he's come to be a better person, the writers throw all away just like that? Such a disappointment. If you're going to break them up, you don't have to sacrifice maturity to do so. Wade is better than that - it almost feels like a slap in the face to those fans who adore the guy. Moving on to Lemon... Just like Wade, she was way out of character tonight. The "new" Lemon that has been developing would have forgiven Annabeth by now because she is above being childish. I thought she was headed to being a strong, independent woman? It saddens me to see my favorite character act like such a child and hold a grudge like she is. Another character who seemed out of it was Annabeth. Yes, she has always been VERY loyal to Lemon and their friendship but the moment she decided to be with Lavon was the moment her character changed. She made a grown up decision, now it's time to deal with the consequences. I knew that this was going to happen unfortunately. In the end, I really hope that Lemon and her resolve their issues and find happiness. The only part I enjoyed was Tom and Wanda. Let's all be real honest - these two are the most adorable couple on Earth. 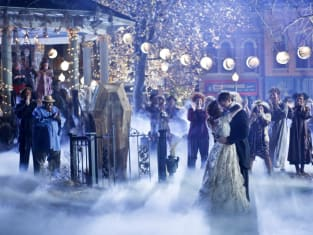 Fake or not, I want to go to this wedding! They are so in love that it's sickening! I mean that in a good way, of course. I cannot wait to see their wedding and see Debra Jo Rupp guest star as Wanda's mom! Love these two! Overall this episode wasn't that enjoyable. It doesn't matter to me if Wade slept with that woman or not, the damage has already been done.